I just received a voltage regulator part #p3690732 to installin my Plymouth it is a 1955 Plymouth with a complete drive train out of a’65 Plymouth but I did not receive any instructions as far as what I hook tothe threaded post on the regulator and what hooks to the wire that comes outof the back side of the regulator ? It is the mopar regulator recommended tobe installed since I converted the motor to electronic ignition ! 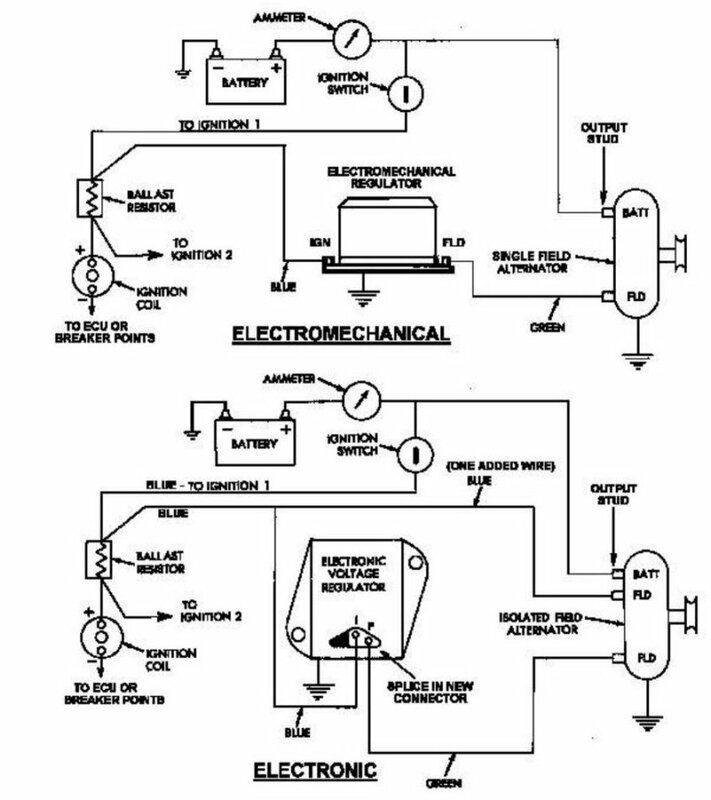 Wiring diagram is attached, to use that regulator, follow the lower diagram.I would not, however, use that regulator on the street, it is aconstant-voltage “drag race” unit with no temperature compensation. It willhalve the life of the battery in street use, you would be much better offwith a “parts-store” stock-replacement 1970-up regulator, if you go thatroute follow the upper diagram.